This time last year we were about to experience the incredible feeling of winning the Queen Mary Stakes with Heartache and little did we dream that we would be lucky enough to have another shot at it this year with Kurious. 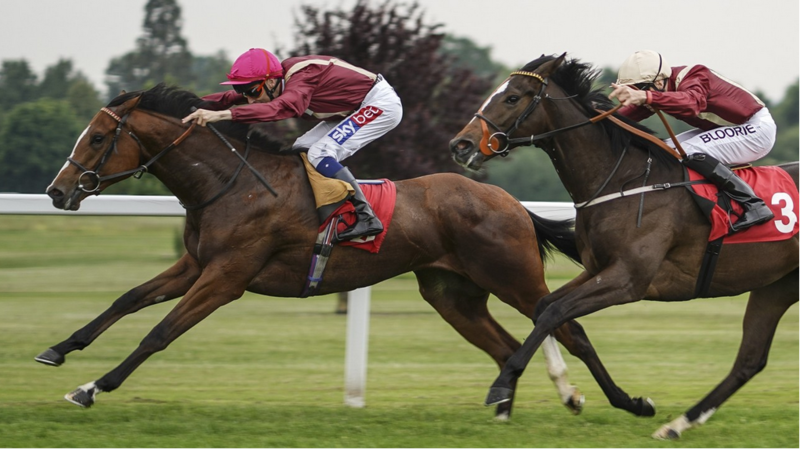 A half-sister to the Group 1 Prix De L’Abbaye winner Tangerine Trees, Kurious made an impressive winning debut at Sandown two weeks ago where she defeated another of our other fillies, the well-regarded Heartwarming, with the two pulling well clear. Both Fran Berry and Henry Candy felt she ought to have a tilt at the Queen Mary and so we are here. With a decent draw in 17, close to the American hotshot Chelsea Cloisters, all of our fingers/toes are crossed that Kurious can run a big race – a top six finish would be fantastic. On Friday, our star filly Heartache lines up in the Group 1 Commonwealth Cup where she will bid to emulate the scenes of her Queen Mary triumph last year. She was a shade disappointing on her reappearance at Haydock last month but it transpired she may have needed the run more than anticipated and her work has been very pleasing since. She owes us nothing but goes there with a solid each-way chance this time around. We will be bringing over 100 H2T members to Ascot over the two days this week and our gratitude must go out to the breeders who own these wonderful fillies and to all our members who have made this possible! Manages Hot To Trot on a daily basis, communicating with members as well as organising and hosting racedays/events. Sam also manages the Kennet Valley Thoroughbred Syndicates and is a small breeder in his own right. Lift off for Hot To Trot Jumping!